Hire Android game developers to get Android games with rich graphics & engaging storyline. We develop all types of games with unbeatable user-experience. ChicMic, an Android Game Development Company is expert in creating 2D/3D games for mobile. 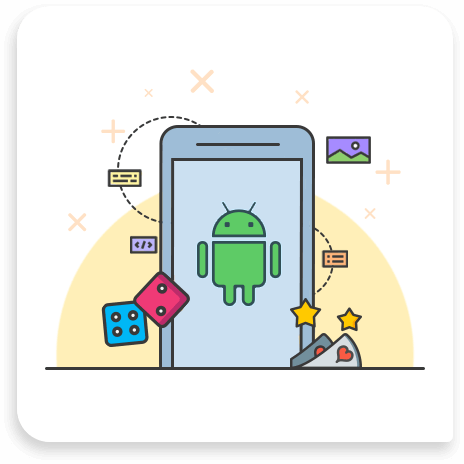 Well-versed with gaming engines like Unity, Cocos2D, other SDKs, and the right development tools, our expert level game developers create Android-based games. We have developed many android games with stunning graphics, appealing effects and high-level programming for different genres. A range of Android Game Development Services at ChicMic include Android game Designing & Development, UI/UX Designs, Custom game programming & more. Whether it’s brain teasing, puzzles, 2D & 3D, Single & Multiplayer and High Definition games, we deliver technology-rich plus character-based gaming apps. Our team of developers is always on toes with the technological advancements. Our games developed for clients are ranked no.1 in Google Store.